If the baseball card blogosphere is to be believed, one of the most anticipated Topps releases each year is the quirky Allen & Ginter set. 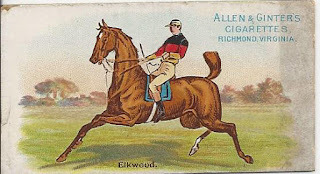 As most of you know Allen and Ginter was a 19th Century American tobacco company that issued a large number of trading card sets during it's short life from 1872 until 1890, when it was part of the multi-company merger that formed the American Tobacco Company. 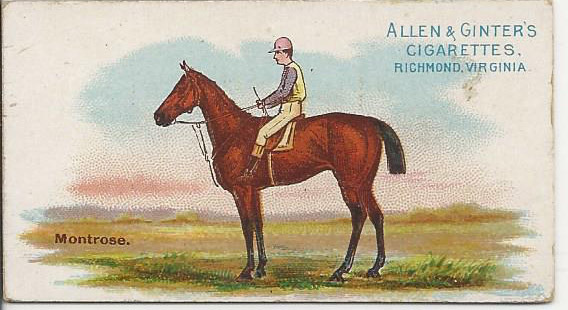 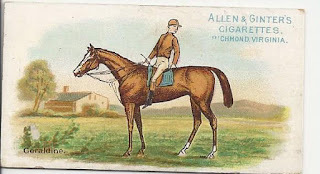 According to the American Tobacco Cards Price Guide and Checklist book, A&G produced card series N1 through N68, with 5 designations in that series unused. What follows are cards from the N32 series, The World's Racers, that was issued in 1888. These cards are on a nice heavy stock and are all in good shape considering that they are 131 years old. 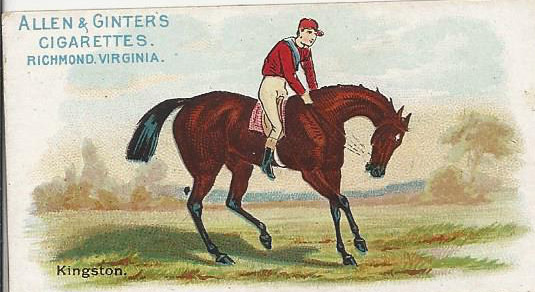 The backs show a checklist of the subjects of the 50 card series. 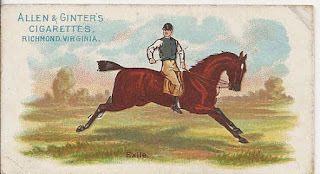 Each of the 5 cards above show some level of minor paper loss indicating that they may have been mounted at one time.